Each year THP hosts their annual Golf Outing & Demo Day, one of the most unique weekends in all of golf and aptly named the Ultimate Weekend of Golf by the attendees. A couple of months ago the venue for the upcoming 2013 event was announced and you can find all of that information right here. Today, THP is proud to announce that dates for the weekend like no other are set and they are May 17th-19th, 2013. Friday May 17th – Full Demo Day – One of the most unique facets to the ultimate weekend of golf as it is the only full participation demo day in which no vendor representation is allowed on site. Test clubs with the freedom of no sales or sales persons allowed on site. Saturday May 18th – Sunday May 19th – Multiple rounds of golf with other THPers on all of the beautiful Reunion Resort golf courses. The rest of the itinerary will come out shortly including the banquet dinner, nightly activities that are always fun and of course the amazing contests. So mark your calendars because this one is truly the Ultimate Weekend of Golf. Details on signing up and the number of open spots this year will be coming out soon. Exciting news! I’m hoping I can make it to both events next year. Time to start making plans! Excited that I can put this onto the calendar, I WILL be there!!! I hope to be able to attend this ultimate weekend once again! Last year was amazing! cant wait to get back and hack it up with some THPers! 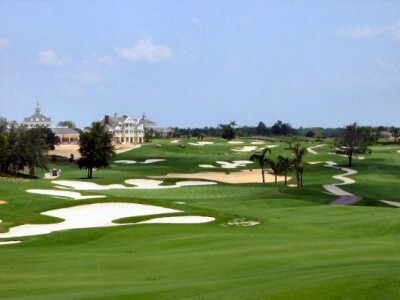 Can’t wait to tee it up again in this event. Met a ton of great people last year. Cant wait! Marking the dates down right now! Awesome! These dates should work well. awesome venue!! having played there I think people are in for a real treat. May sounds great! Reunion is a great place to host this event and the fact that there’s unlimited golf is unreal! 2012 Outing was epic, cant wait to see whats in store for 2013! The prison calendar can begin! Really looking forward to returning next year. It is truly the ULTIMATE weekend of golf with great people and good times. I can’t wait for the 2013 outing!! Perfect time of year in Orlando for the best golf outing on the planet. Color me there…. Oh my, this countdown is going to be a loooonnngg one. Can’t wait. need to plan this thing now. Dates look good. Sounds like a fun time. Can’t wait…I will be there! I am committed! I hope I make the cut! Excellent news! Going to start saving in hopes I can get time off! Good news to read. This event is so informative equipment wise. I hope I make it on the list. Great news, I am really hoping to get to attend. Right now everything looks good as far as my chances go. This sounds great! I’m an outing kind of guy so this sounds right up my alley. Yes! I’m planning on being there! any one from nor-cal planning on going?